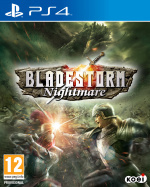 As well as including the base Hundred Years' War scenario, upcoming tactical hack-and-slasher Bladestorm: Nightmare will also boast the fictional Nightmare mode, where monsters and mythical beasts are summoned to the battlefield by a decidedly evil version of Joan of Arc. Sounds quite interesting, doesn't it? Releasing later this month, the title's packed with content, gigantic battlefields, and quite strategic gameplay. 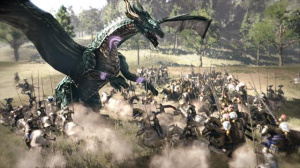 The two videos that we've embedded show off regular Hundred Years' War gameplay, along with footage from the aforementioned Nightmare mode. The latter even has dragons. Did you sample the original Bladestorm? Lead your forces to victory in the comments section below.